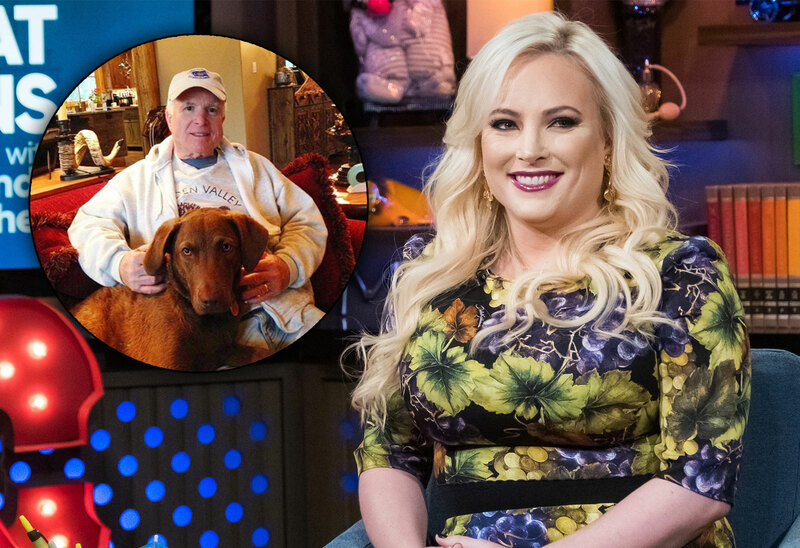 The View host Meghan McCain has shared another major loss. Her dad, the late Senator John McCain, had a dog, Burma. Now, his loyal companion has passed away. Click through the gallery to read her emotional message. “She would never leave his side, followed him around every single step when he would walk around our ranch, slept by his side every night and we always said Chesapeake bay retrievers were the most affectionate breed of dogs,” she continued. “The love this dog gave him was equal to a family member. I love you Burma and hope you’re in heaven jumping into creeks, chasing sticks and fish with Dad. 💔,” she shared. Meghan also included a photo of her father with the dog. I miss you the most on Sundays. Senator McCain died in August 2018 after a battle with brain cancer. In the months since his passing, she’s struggled with her grief. Meghan had a difficult day April 8. In addition to her dad’s dog’s passing, she was also slammed by The View fans for disrespecting Joy Behar during the show. What do you think of Meghan’s post about Burma? Let us know in the comments!